(Pickerington, Ohio) – Pickerington Heating & Cooling has earned the service industry’s coveted 2018 Angie’s List Super Service Award for the Columbus area, an honor awarded annually to only about five percent of all the companies rated on Angie’s List. 2018 is the seventh year in a row that we have earned the award. Pickerington Heating & Cooling maintains an average grade of “A” from the many customers who posted reviews of their service. An “A” rating is the highest available grade for the contractor categories on Angie’s List. Pickerington Heating & Cooling has earned the Angie’s List Super Service Award 2018, the seventh year in a row. 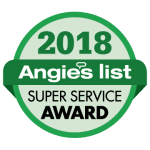 Angie’s List Super Service Award 2017 winners must meet strict eligibility requirements, which include an “A” rating in overall grade, recent grade, and review period grade; the company must be in good standing with Angie’s List, have a fully complete profile, pass a background check and abide by Angie’s List operational guidelines. Angie’s List is a member-driven consumer referral company that allows members to review businesses, then post those unsolicited reviews online for other members to read. Each year, Angie’s List presents its Super Service Award to companies that have maintained a superior rating. Don’t most people only leave reviews when they are dissatisfied with a service? “It reflects well upon how we like to provide service, to go that extra mile to solve problems for our customers,” said Howard “Kip” Morris, Jr., along with his brother Brett Morris, owners of the family-owned and -operated heating contractor. “We’ve been in business for more than 45 years, and I don’t think you hang around that long without making a lot of people happy.” The service award from Angie’s list is just a concrete expression of the level of their customers’ satisfaction, he said. “We’re so happy that our customers would go to the trouble of posting their reviews,” he added. “It’s truly the purest form of consumer guide and referrals” to find the best service contactors. Pickerington Heating & Cooling’s philosophy is simple: we sell, install, service and maintain the highest quality heating and cooling systems, at the best price, with the most efficient installation and the highest level of customer service. We limit our service to the Columbus area to provide superior on-time service to our customers. Founded in 1972 by Howard Morris, the company has grown to serve a number of communities in the greater Columbus, Ohio area, particular areas on the far east – southeast side of Columbus. Pickerington Heating & Cooling now services most of Franklin County and a number of local communities including: Pickerington, Reynoldsburg, Canal Winchester, Carroll, Lithopolis, Groveport, Lancaster, Blacklick, Pataskala, Gahanna, Grove City, Whitehall, Eastland, Berwick, Brice, Dublin, Worthington, Westerville, New Albany, Hilliard, Powell, Lewis Center, Upper Arlington, Grandview Heights and surrounding areas. Pickerington Heating & Cooling currently offers a number of home heating and air conditioning/HVAC services, including: gas forced-air furnace installation, furnace maintenance, furnace service and repair; LP gas/propane furnace installation, service and repair; air conditioning (A/C) installation, AC service, AC maintenance and AC repair; and duct cleaning services. In addition, they offer whole-house humidifier installation, WiFi Thermostat installs, and water heater installation. Emergency service is available 24 hours a day year-round. 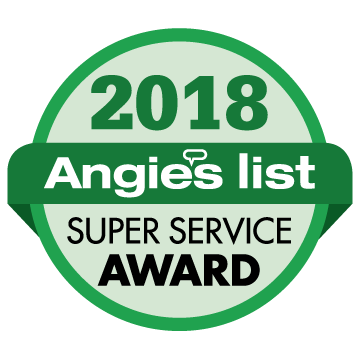 The Super Service Award is the highest honor given annually to companies by the member-driven consumer service company, and it goes only to those who have achieved and maintained a superior service rating on Angie’s List throughout the past year. Super Service Award winners are preferred among their members because less than five percent of companies on Angie’s List meet the eligibility requirements of a superior service rating. Super Service award eligibility is based on the size of the city and how long Angie’s List has been there. Angie’s List must be established in a city for at least one year, prior to any company being considered for the Angie’s List Super Service Award. They look to preserve the value and integrity of this award program in order to give businesses the prestige they earn as an industry leader. Obtain a minimum number of reviews (varies by market) in each eligible category during the review period, November 1 of the previous year through October 31 of the current year.